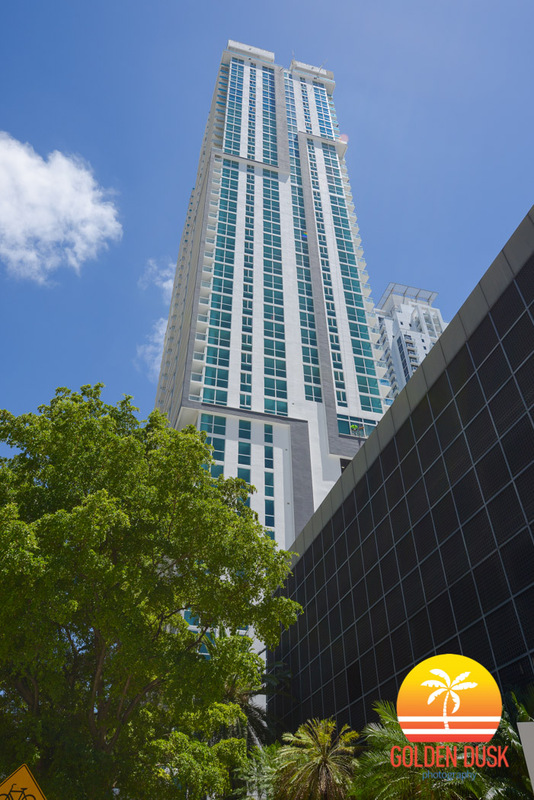 Bond on Brickell has now received its temporary certificate of occupancy and can now being closings on the 44 story building. Groundbreaking began in January of 2014 and started going vertical in August 2014. 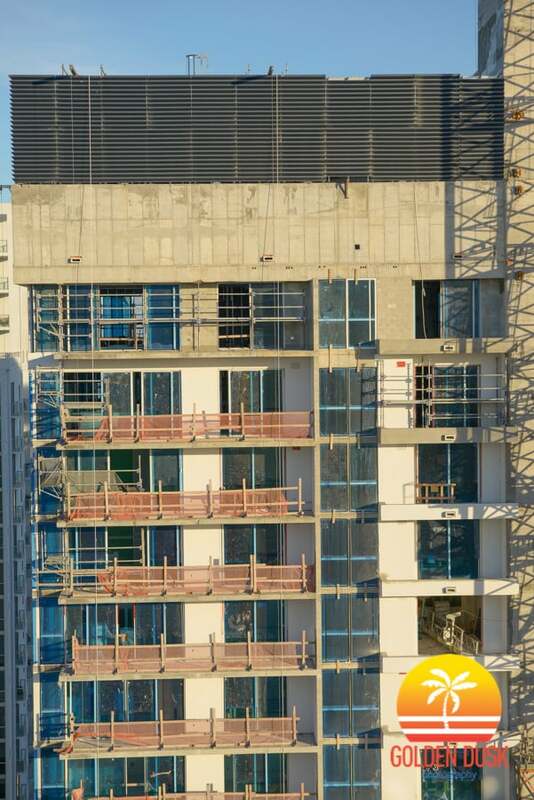 Previous construction photos of Bond on Brickell can be viewed here. 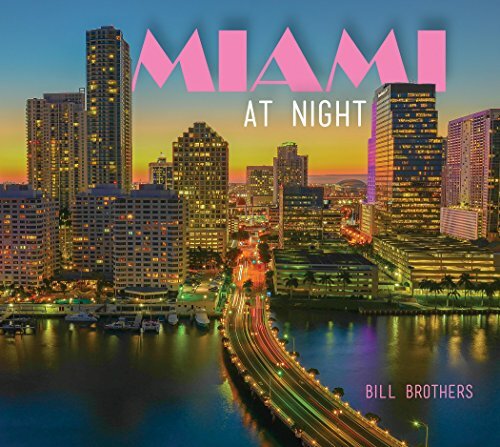 Since our last update in January, the Bond at Brickell is progressing. 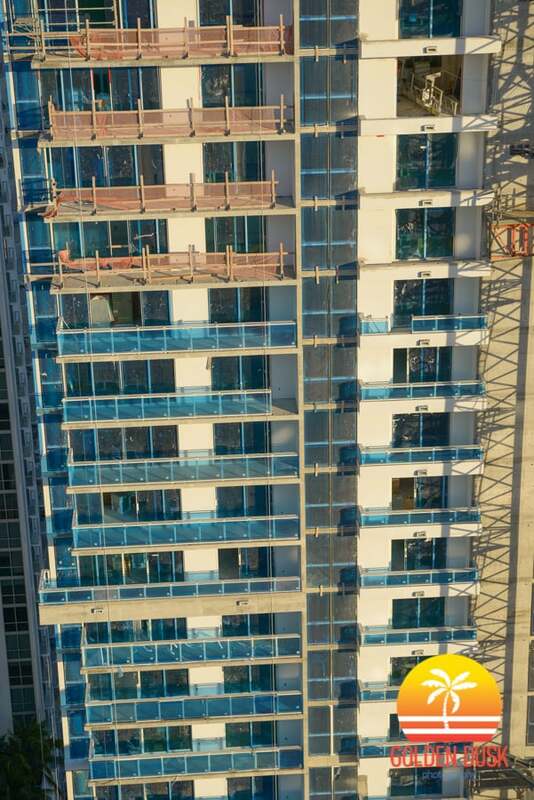 The crane has been removed from the site and all of the windows and glass on the balconies have been installed. The painting of the exterior of the 44 story building has begun and construction is expected to be completed this year. Since we last looked at Bond at Brickell, the building has topped out on the 44 story building. 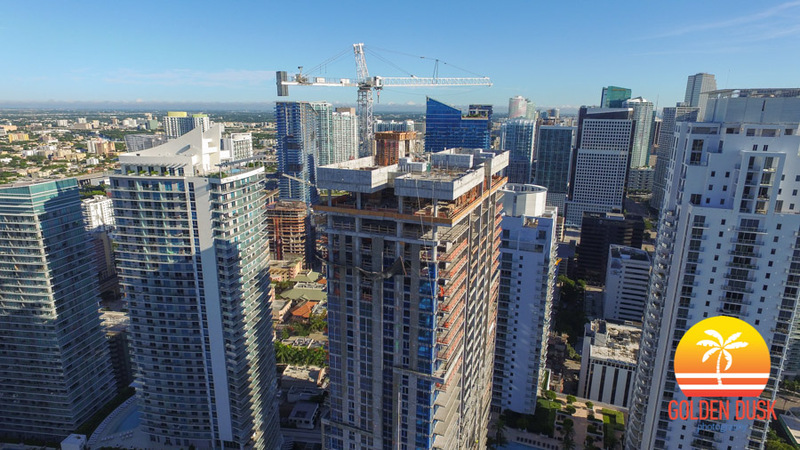 The Bond at Brickell is still rising quickly and is well pass the halfway mark of construction. 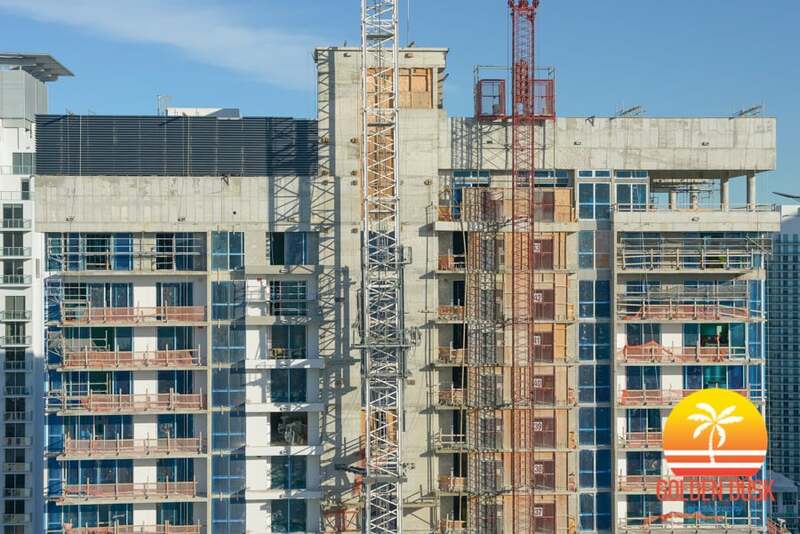 The building will rise 44 stories and hold 323 residential units. Completion is expected in early 2016. 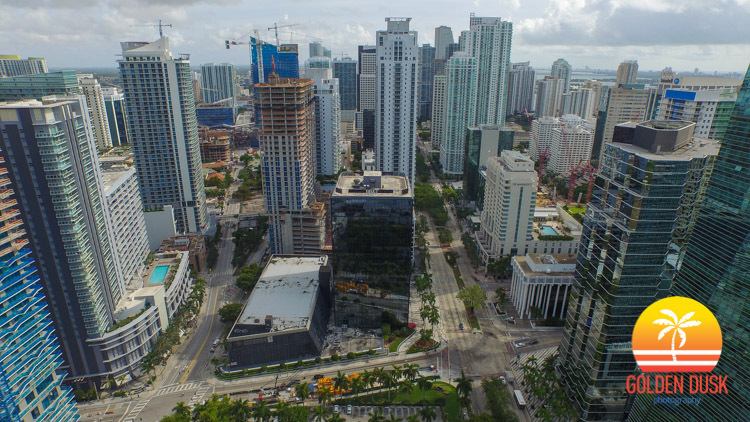 After a slow start on construction since their foundation pouring, The Bond at Brickell is starting to rise over South Miami Avenue. 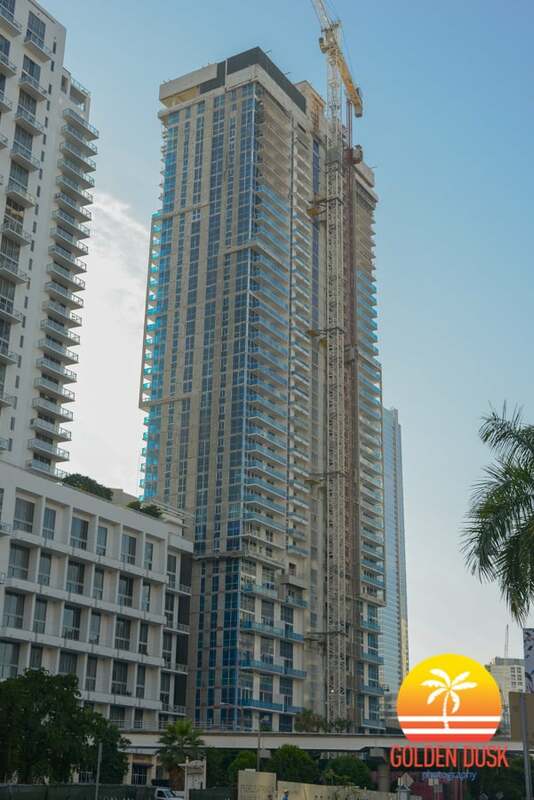 The 44 story residential condo will rise to 491 feet and is located across from where Brickell Flatiron will start construction. Construction is still expected to be completed by early 2016. Breaking ground in January 2014, The Bond at Brickell is a 44 floor residential condo with a height of 491 feet. It will have 323 units. 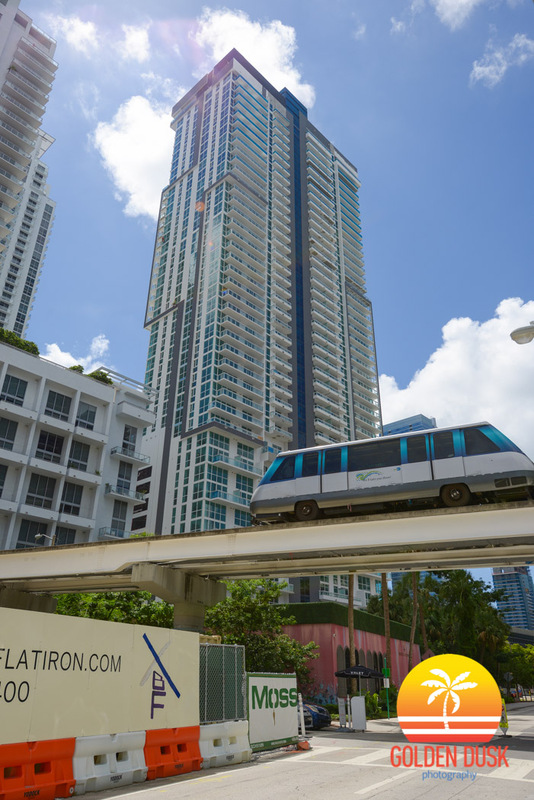 The Bond at Brickell is located across from 1100 Millecento and the soon to be developed Flatiron Condo. The building is being developed by Rilea Group and the contractor is Coastal Construction. Construction is expected to be completed by early 2016.